Let me start by saying: I love cheese. I love it so much that my personal goal is to inspire customers to try as many of the 175 cheese varieties that Murray’s Cheese has to offer as possible. About four years ago, I became a Murray’s cheese master at QFC #808 in Bellevue, Washington – there are roughly 400 of us company-wide. Being a cheese master requires a certain level of training. I went through the Murray’s Cheese Red Jacket training along with the rest of my team, where we learned about the products we sell and how to give great customer service. I also went through a special Cheese Master Training, which is designed so that cheese masters across the company are experts on our product, know how to run the Murray’s Cheese shop and can help any customer find the right cheese for any event. In 1989, I joined QFC #808 as an associate in the Deli/Bakery department working with cheese. 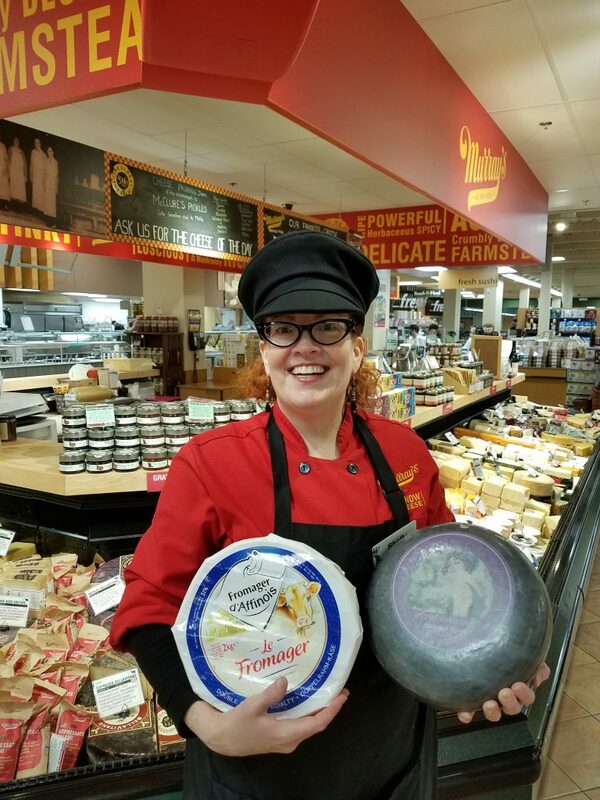 I remember thinking “this will be a fun job until I decide what I want to be when I grow up.” Fast forward 29 years year later, and I’m still with QFC, still working with cheese and still loving coming to work every day. Mt. Townsend Creamery Seastack with Oregon Growers topped with 3 Little Figs Puddletown Pub Chutney! I think my enthusiasm for cheese has spread not just to my team, but also to our customers. They started calling me “Madame Fromage” (aka Mrs. Cheese) because they know I love talking about cheese. If anyone asks for a recommendation, I tell them to try one of the two cheeses I can’t live without: Fromager d’Affinois and Midnight Moon Gouda – seriously, give them a try the next time you’re in store! Whether you need a dish for a viewing party of the “Big Game” or a dinner party at home – I’m confident Murray’s Cheese has you covered. January 20 might be National Cheese Day but, in my opinion, every day is a great day for delicious cheese! My name is Shelly Keene and I am Murray’s cheese master.